The Jockey Ver. 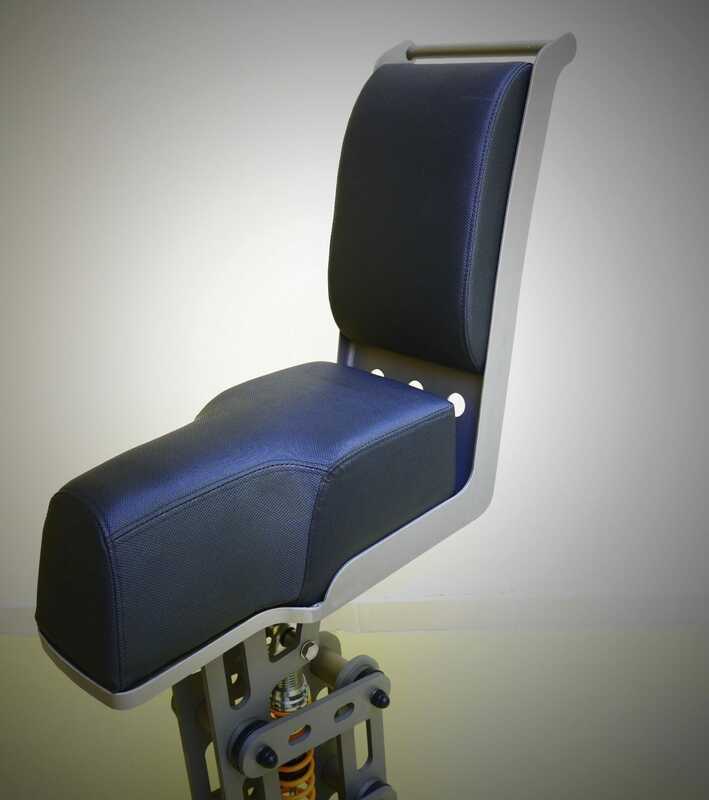 Mil seat is designed to protect the crew and passengers of high-speed craft from injury. 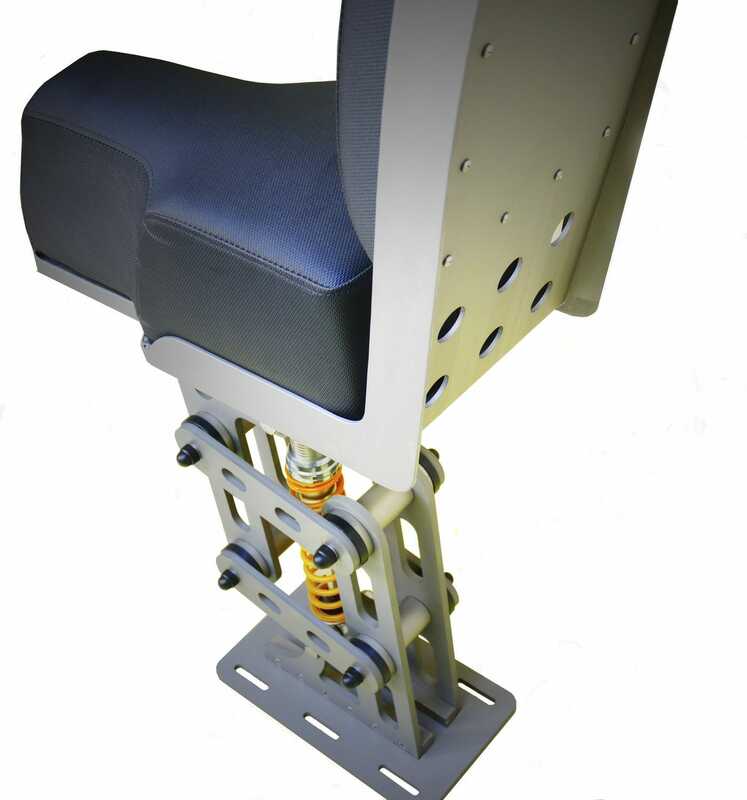 The Jockey version has been used and certified by the Greek Navy. 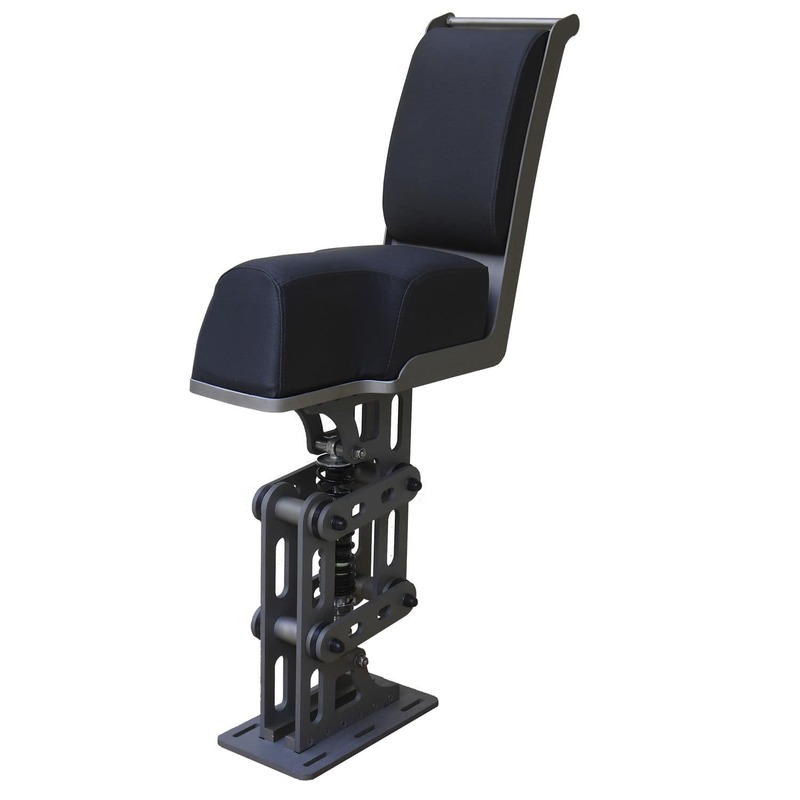 The perfect quality of the shock with the self adjustment rebound system combined with the low friction joints places this suspension system among the leaders of their category. 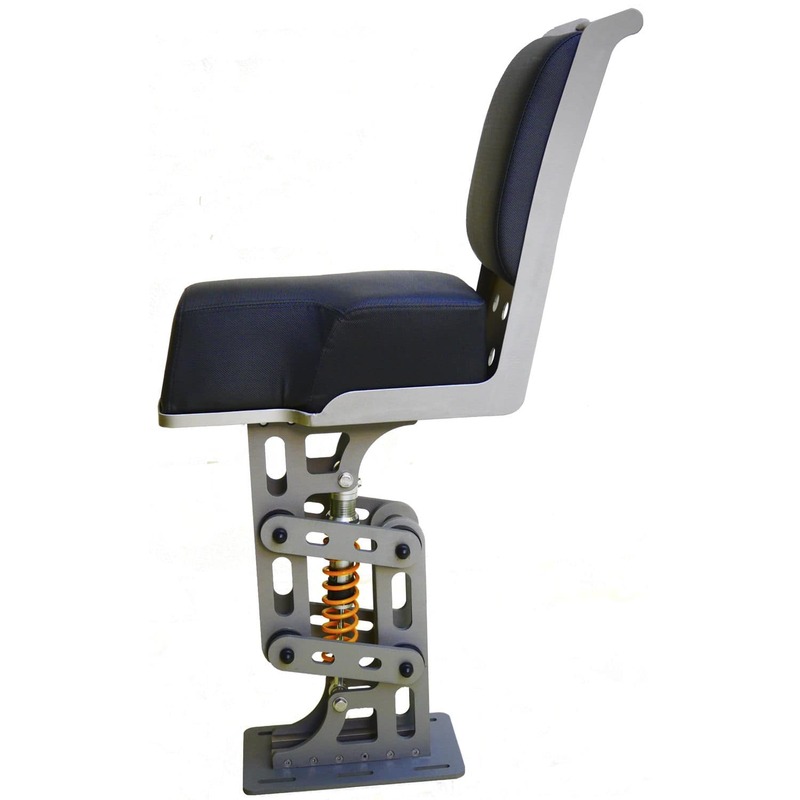 Every detail has been designed with special care in order to increase the reliability and the product life span with main structure to be manufactured by marine aluminum alloys. See also the distinctive Jockey edition! 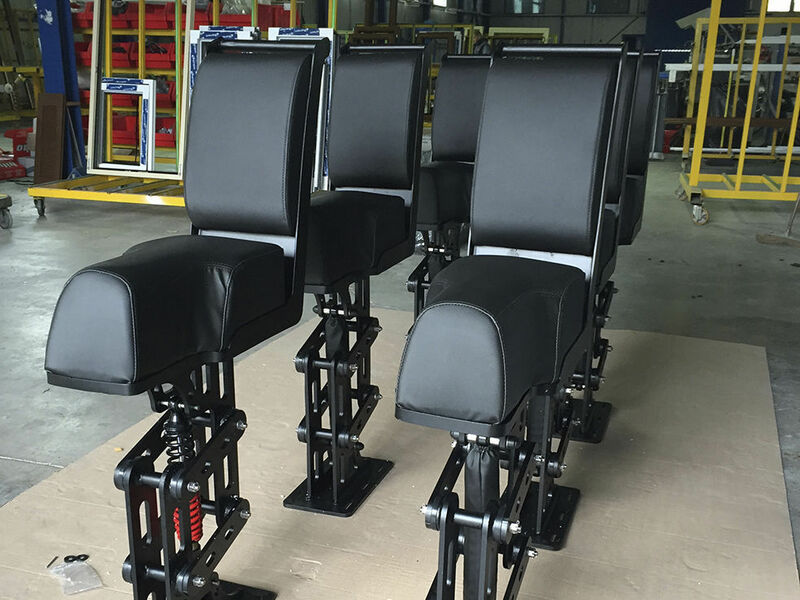 1.High backrest for maximum comfort and support. 2.Longer saddle sides for optimal lateral support in straddling position. 3.Horizontal handle support for passengers behind. 4.Ohlins Adjustable Progressive Shock Absorber. 5.Synergizes with human muscular reflex system. 6.Shaped to protect the operator from injuries in all conditions. 7.Activates the human natural reflex-based muscular protection system. 8.Distributes impacts between arms and legs to protect back and neck. 9.Self-adjusting height depending on weight. 10.Optimum shock mitigation in the spine and neck direction. 11.Test-bed experiments and measurements by “Systems and Measurements” Laboratory of University of Patras. 12.Tested for shock mitigation from -4g to 4g under frequencies 5-30Hz according to ISO 2631-5.